California is one of the harshest states in the country when it comes to Driving Under the Influence (DUI) offenses. Even a first offense comes with serious penalties and expensive fines. Some of these penalties start the moment a driver fails a field sobriety test, while others require a criminal conviction for DUI. Our experienced Los Angeles DUI defense attorneys at Werksman Jackson Hathaway & Quinn LLP understand the best ways to avoid a conviction and more serious penalties. For a free case evaluation, please call (213) 688-0460 today. What constitutes a DUI in California? It all depends on blood alcohol concentration (BAC) percentages. This indicates how much alcohol is in a person’s bloodstream – higher percentages mean more alcohol. 0.08% or Higher – For someone 21 years of age or older operating a regular passenger vehicle. 0.04% or Higher – For someone 21 years of age or older operating a commercial vehicle. 0.01% or Higher – For someone younger than 21 years of age operating any vehicle. 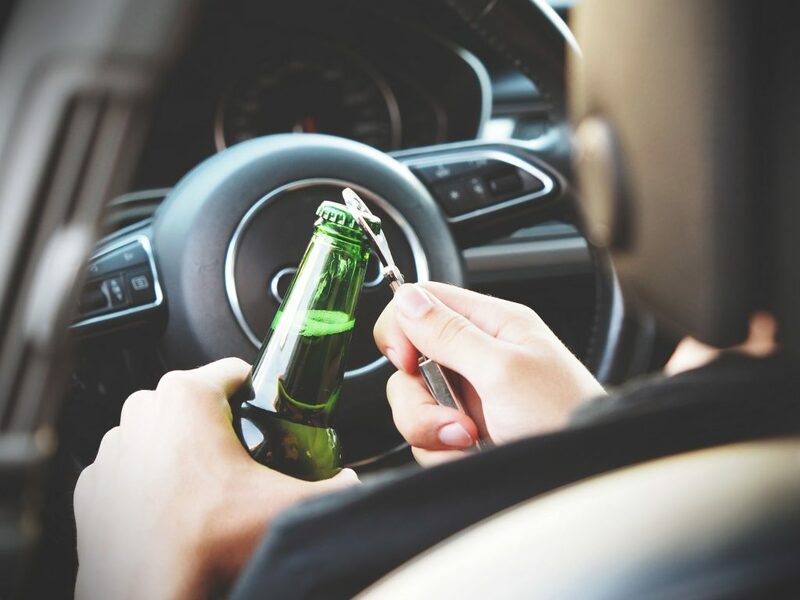 It is worth noting that California DUI laws include things such as illegal drugs, prescription medication, and over-the-counter medication if their use impairs a person’s ability to drive safely. Possession of Alcohol – People under the age of 21 cannot drive a vehicle that contains alcohol unless it is full, sealed, and unopened. Also, that person must be with a parent or legal guardian, or be currently working for a person with an off-site liquor license. Violating this law can result in vehicle impoundment, serious fines, and license suspension for one year. Zero Tolerance Law – Drivers under the legal drinking age face first-offense punishments with a tiny amount of alcohol in their system. License Suspension – The moment a driver fails a field sobriety test, his or her license is suspended for four months. Conviction for a first DUI also carries a six-month suspension; these two suspensions can be served simultaneously. Jail Time – A first-offense DUI carries up to six months in jail, and this sentence largely depends on how lenient a judge is after a conviction. An experienced defense attorney can help fight for a shorter sentence or no jail time. Fines – A first DUI usually includes fines between $400 and $1,000. It is important to note that these are just the fines imposed by the court – there are additional penalties and legal fees included. A first-offense DUI can cost thousands of dollars when everything is done. Probation – Conviction for a first-offense DUI typically results in three to five years of probation, and includes about 30 hours of driving classes. If a driver refuses to take a BAC test when suspected of DUI, his or her license will be suspended for one year, regardless of any convictions. If the DUI results in an accident – or the death of another person – then the penalties may include manslaughter charges, which can negatively impact the rest of a person’s life. A DUI conviction in California counts as a “prior conviction” for up to 10 years, meaning any additional DUI convictions within 10 years of the first will be counted as second, third, fourth convictions. A subsequent conviction usually has higher fines, longer license suspensions, and additional jail time. There is no such thing as a “minor” DUI charge. How you handle a first DUI can have serious consequences for years to come. If you were arrested for driving under the influence in Los Angeles, speak to the team at Werksman Jackson Hathaway & Quinn LLP. Our experienced criminal defense lawyers will immediately make sure your rights are protected, and go to work to get the case against you dropped or reduced. For a free case evaluation, please call (213) 688-0460 today.